Thanks Heather….you’re making me hungry now! It’s about 20 degrees out today so I think I may have to go get some Jewish deli myself with some nice soup! Hello! The steps for day one are not at all clear whether you *add* 140 grams of your original rye sour *to* the 15 grams 80% hydration sour mixture, or whether you’re starting a fresh mixture that uses 140 grams *of* the first day one sour mixture. 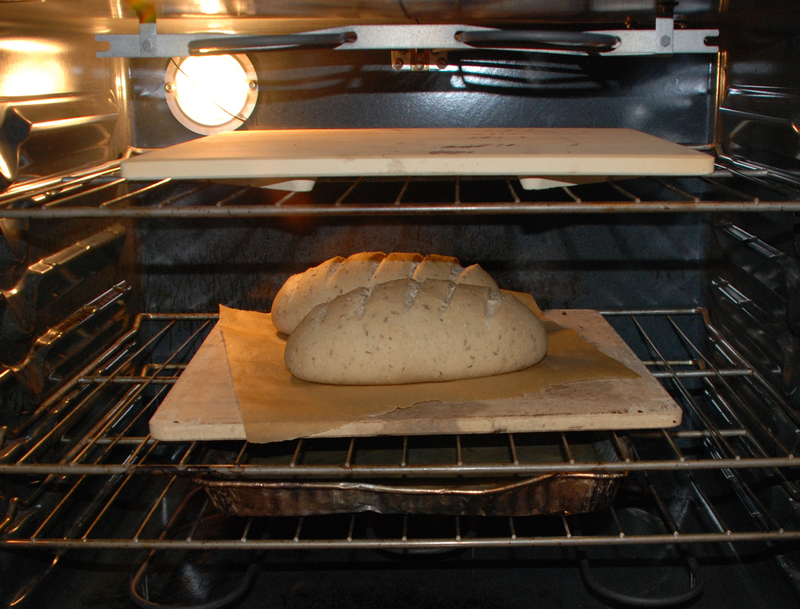 It would also be helpful if you have a more detailed shaping method for the loaves. I’ve made a few loaves of rye bread and a LOT of loaves of non-rye bread, and I’m pretty sure just rolling the dough up into a football shape and calling it good wouldn’t do the trick. Surely you tuck the ends under and develop surface tension while rolling? Thanks in advance for clarification. The loaves you have pictured have a beautiful crumb, and I’m on the lookout for a new rye sour go-to. Thanks for your comment. I’m sorry if the instructions were a bit unclear. You need to add the additional white rye flour and water to the sour you create in step one and let it ferment for 5-6 hours. You then refrigerate it and use it the next day in the main dough. For the shaping you need to form a boule/round ball that is nice and tight. Next you roll the ball out into a football shape. There are many good videos on Youtube that demonstrate how to make a batard/football shape dough. Another question for you: these sponges? starters? Are REALLY stiff, not liquidy at all (I’m following the weight-by-grams measurements), like library paste. Is that right? In the second build it says to let ferment ’til bubbly, but I don’t think something this thick will really be bubbly. The starters/sponge is supposed to be stiff in this formula. You should see some activity once it starts fermenting and it should increase in size. I have not made this recipe in a while but I do know it’s important that your original starter is nice a lively before creating the rye sponge. Well, after a late night of baking I’ve got four loaves out: two of this old-school jewish deli rye and two Greenstein’s jewish sour rye, via TFL. They’re very much alike, though I must’ve gone wrong somewhere with your old-school. The Greenstein’s is lovely and fat with nice scoring (though I did burst a seam), but the old-school is much flatter, with truly bad scoring. The weird thing, though, is that while I got a really nice spring with the Greenstein’s that one is a bit denser and blander (by just a touch), and the old-school- while much flatter and not very pretty at all- is a bit lighter and chewier. They’re both beautifully sour, which is exciting. The old-school dough was SUPER slack and sticky. Is that right? My “risen” (they really didn’t rise much. They spread more than they rose, even though they were in a supported couche) loaves didn’t look anything like yours, not even close, and when I went to shape them they went squish, even more than the slackest rye dough I’ve worked with in the past. I scored with a fresh utility blade (my go-to) and it just dragged. That being said, though, I did get more of an oven rise than I expected, and the crumb looked like yours but with perhaps a few more large holes; pretty much what you would expect with such a wet dough. Any thoughts on where I went wrong? And do you have any experience with refrigerating between sponge-building stages? I’m adapting a rye for professional production and can’t have a starter that requires 12-hour babysitting. Thanks for the dialogue! I’ve been a professional pastry chef for almost sixteen years, but only now am I building a bread program. Bread being the specialized field it is, it helps immeasurably when those with more practical experience are willing to share their knowledge. To be honest I have not made this formula in a while so I don’t remember how wet the dough was. 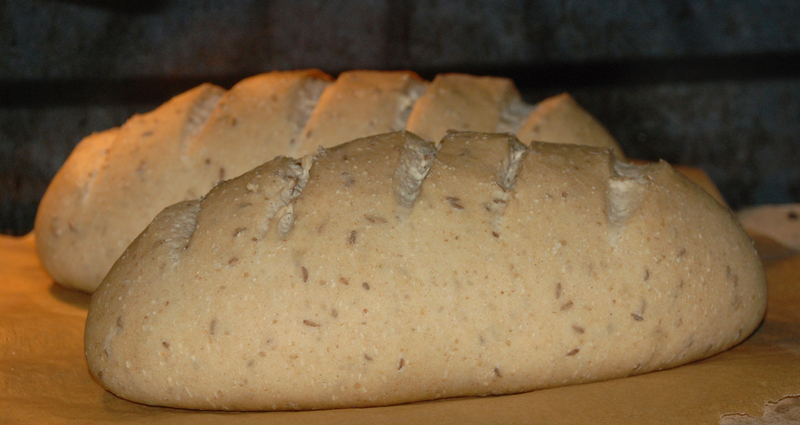 Most rye breads do tend to get a little wet and sticky but I’m not sure about this one. I will remake this one myself as soon as I get a chance and get back to you. One thing I find helpful when shaping this type of bread is to use cooking spray on the work surface so you don’t end up adding too much bench flour and making a dry dough. The shaping will come with practice. I always usually do a retard of the starter and the bulk mixed dough overnight in the refrigerator. As long as you let it come to room temperature for about 1 to 1.5 hours you should be good. I’m not a pro baker but I can certainly understand your concerns about production. It may make sense to try and adapt this recipe to your needs. 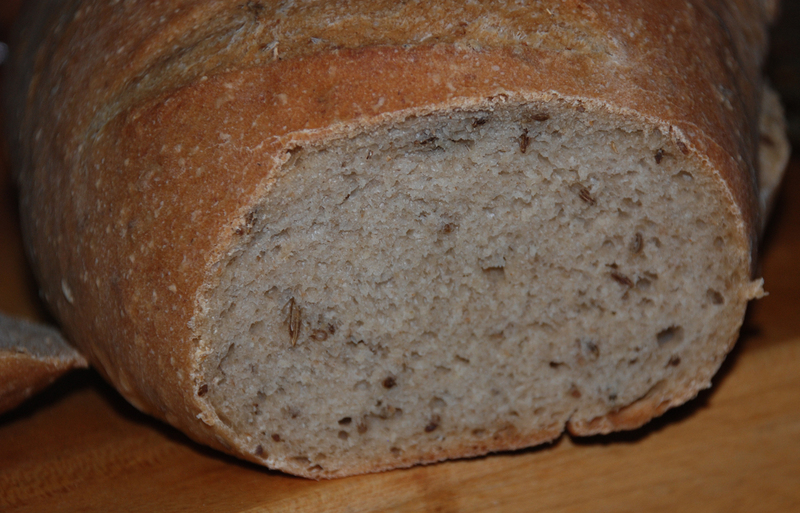 I do have another Jewish style rye that I love on my blog site made with beer. I am not sure that one will be any better though for your situation. 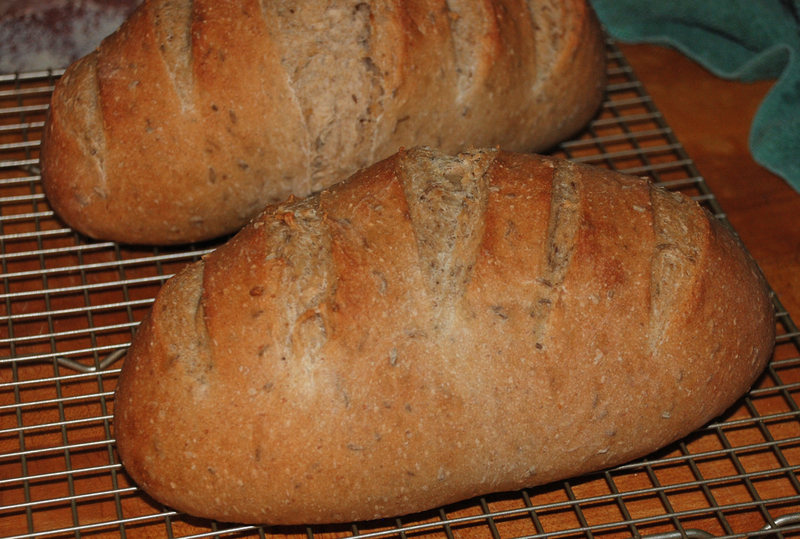 Once you get a rye sour dough ready to use it will certainly make it easier. To be honest it is hard to get a good Jewish rye at most places since I do believe they probably take some shortcuts which dramatically changes the outcome. Please feel free to let me know if you have anything else I can help you with. Once I make this recipe again I will let you know.